It’s appropriate, I suppose, that part VII of this series should be about an RX-7. This one was more of a brief flirtation, but it does illustrate the enduring appeal of one’s “first love,” automotively-speaking, and represents a seminal period in my thinking about cars. 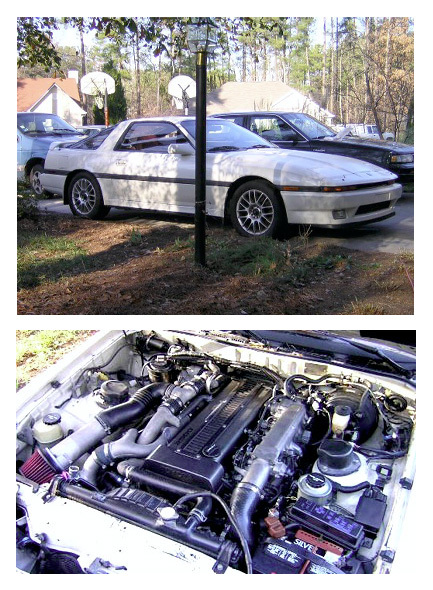 In early 2003, I was underemployed and driving my ’88 Supra Turbo, pre-engine swap. Between working part-time and hunting for a serious, degree-related job, I had a fair amount of time to mull over my car situation. I liked the Supra very much; it had been my companion of sorts during my 6-month adventure in Florida the previous year, so we had some “history.” However, as evidenced by the diversity of topics on this very site, my automotive interests resist confinement to one model, brand or even type of car. The grass is always greener, and even though I did have a bond with the Supra, I was getting bored with it, as dumb a decision as a car switch would have been at that point. My car philosophy was in flux as well. A vehicle like the Supra is easily upgradeable for big power; modification paths are readily available and well worn. That said, I was in the midst of a kind of existential crisis, coming to the realization that there would always been a car out there with more power than mine, faster than mine. That may seem like a truism, but it was very immediate for me during that period, coming to terms with the fact that the horsepower war is a bottomless money and time pit. Of course, being as broke as I was, I couldn’t have upgraded my car anyway, so it’s likely the “crisis” was, as much as anything else, a subconscious attempt to pin my automotive self-image on something other than raw speed. Convenient, that. In any case, during my soul searching, instead of going after big power, I resolved to value qualities in a car unrelated to the amount of tire smoke it could generate on command. Self-serving it may have been, I determined to seek out the intangibles, to value the character of a car more than its spec sheet. 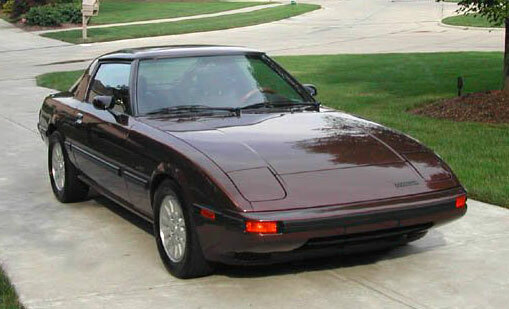 Naturally, my conclusion led me back to the first car I’d really fallen for, my first project car, the ’79-’85 Mazda RX-7. Even in top-of-the-line 135 hp ’84-’85 GSL-SE trim, it’s no speed demon, with a 0-60 time of around 8 seconds, comparable to that of a modern family sedan, and upgrade paths are considerably steeper than for the Supra. What it did possess was a raw, elemental feel, an eager, curve-hungry personality coupled with a unique, turbine-like rotary engine. Its timeless shape has always appealed, being neither bound to the campiness of ’70s styling conventions nor the harsh angularity of ’80s trends. And I already knew every nook and cranny of its engine bay, having performed an engine swap between a pair of ’85s. The combination of character, uniqueness, design and familiarity was irresistible. I fired up Autotrader and began hunting for one. Being the product of part-time job daydreaming, I wasn’t completely serious about the endeavor, and even if I had been, I’d have had no idea how to unload my Supra in favor of an RX-7. I indulged my wandering emotions a bit, though, and when an ’84 GSL-SE closely resembling the one feature in this post’s pictures popped up 90 miles away, I roped a car buddy into doing some investigation with me. We made the trip and found the car in fantastic condition. 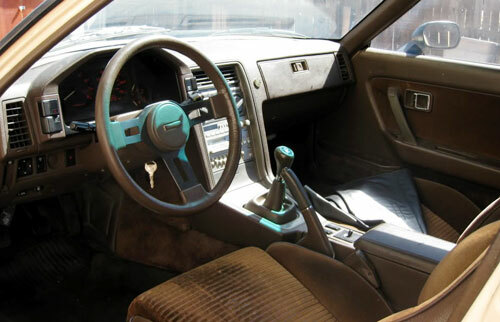 The paint was lustrous, the engine ran well (and idled properly—a rare quality for the GSL-SE’s 13B Wankel) and the interior, while brown, wasn’t the hideous maroon color many ’80s sports cars seem to have been afflicted with. I could have lived with a chocolatey RX-7 very easily, but in the end I had no real plan to acquire it, and my buddy and I returned home. Having actually kicked the tires, my longing for a first-generation RX-7 was sated just enough to clear the fog of fixation, and I backed off my quixotic quest. I rediscovered character-related attributes I enjoyed about my Supra, and learned, in the end, that even in cars with readily-tapped power potential, there are still a host of other aspects to relish.